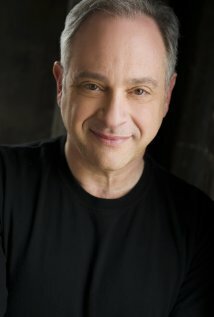 Today I’m welcoming actor and producer, Marty Schiff. Thank you, Marty for stopping by! Well… I don’t really know where to start. I’ve had a pretty interesting life… much of it is public knowledge. I have been focused on a career in entertainment since I was 10 years old. I started doing regional theater when I was 14. Sometimes working on three shows at a time, acting, building sets and rehearsing was common for me. By the time I was 20 I had already done two dozen shows in some capacity. Some things that are not as public are: I was a volunteer fireman for many years. I learned to drive a stick on a 1956 American La France fire truck. I have two wonderful children, both who have interests in production. My daughter works as a Production Manager for PBS and my son is finishing up college. I’ve survived some pretty serious health issues…. and you’d never know it. As the song says…”ain’t found a way to kill me yet”. What was the initial spark that inspired you to go into the film industry? I think, and believe, it was in my DNA. I was a TV junkie at a very early age. I can still tell you what was on the air on Saturday mornings in Pittsburgh during the early 60s. It started with a test pattern. My family was also very into going to movies. I was never a noisy child in a dark theater. My grandmother would take me to the Warner Theater on Fifth Avenue in downtown Pittsburgh nearly every Saturday. Drive-ins were big for my parents and siblings. When I was 12 my father gave me a Kodak Brownie 8 mm movie camera. I shot hundreds of hours of film… most lost in the Northridge Earthquake in 1994. But it was my joy at a very early age. Again, without any formal training I knew how to set up shots, light, direct and edit short films. I was always daydreaming about shooting something and never paid attention much in school. My imagination was… and still is… off the hook. My goal was always to get to Hollywood… and did just that after getting my theater degree at the age of 23. There is a very real possibility that a past life connected me to Hollywood. When I moved there in 1979 it felt extremely comfortable… not many people say that about Los Angeles… and I knew my way around without maps. I have a particular fondness for The Hollywood Cemetery and used to take my daughter there for “Picnics with the Demilles”… next to Cecil and Agnes DeMille’s burial plot. Some of your earlier work include great titles such as Dawn of the Dead and Creepshow. What are some of the other films that you’ve worked on? I think the one film I’m remembered most for is CREEPSHOW but my favorite film to work on, also a Romero work, was KNIGHTRIDER. It’s a non horror film but still great. Some lesser known are CHILDERN OF THE LIVIND DEAD and PARTY ANIMAL. I also worked on BLANKMAN, CAN YOU FEEL ME DANCING, THE ASSASINATION FILE and others. As an actor my career was very heavy in television. Most people don’t realize how many times they’ve seen me in commercials and shows from the 80s and 90s. I’m very proud of OUT OF CONTROL which was Nickelodeon’s very first show they produced for themselves. Until then they had been buying shows produced for other networks. We started it all. OUT OF CONTROL starred Dave Coulier who would go on to do FULL HOUSE. OUT OF CONTROL had an ensemble cast that I loved. It was still the most fun I ever had going to work. A close second was the two seasons I spent on DALLAS. I did many shows and still get residual checks for 12 cents when one of those shows runs somewhere in the world. What’s your favorite role you’ve ever played and why? On TV it was HERN from OUT OF CONTROL. We had a lot of creative freedom with that show and my fellow cast members, directors and producers were just awesome to work with. An actor’s dream come true. If you search the show on Youtube there are many episodes there. You have your very own production company called, SCHIFF MEDIA. Tell us about that. Schiff Media was one of the first all digital production companies in the Pittsburgh region. It was started by my brother Bill and I with four XL1s and Final Cut Pro 2… we were early adapters. We did lots of commercials, a documentary or two and some special projects. We had a studio set up in the back of Schiff Printing Company and it was a lot of fun. I would move on to other projects and a new company called Jeffrey Martin Global Media. JMGM is more of a distribution company but we still do production from time to time. Recently, we produced a pilot for TV called THE ODDS… focusing on gambling. What’s next for Marty Schiff? I have some shows I’d like to get off the ground. A few game shows, some magazine shows and a film or two. I’m teaching directing for the Cinema Department at Point Park University, where I graduated from way back in the 20th century. I have some interests in non production businesses and I might even slow down a bit… no… that’s a lie… I’m happy working… I will sleep when I’m dead. How can fans follow you and your updates about current and upcoming projects? Fans can find me on Facebook and if they are professionals on LinkedIn. If they are interested in the film program at Point Park I’m always available to discuss that. Words of advice for those who’d like to follow in your footsteps? It’s not easy… but so worth it… and obviously not impossible. The key to success isn’t so much talent as perseverance, practice, commitment and believing in you. And … most importantly… be passionate about it.. live it… breathe it… love it. Never give up, make interesting and smart choices and be brilliant. 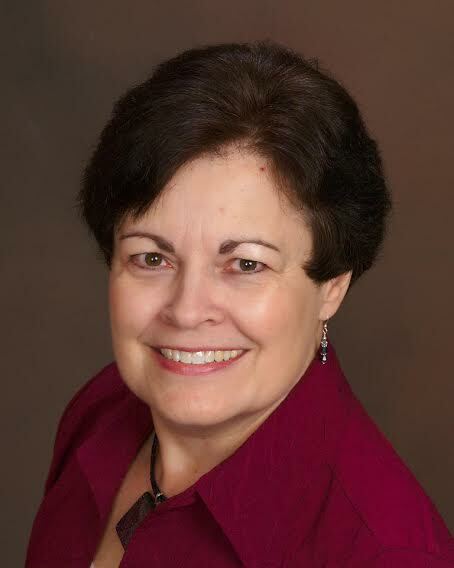 Today I’m welcoming author and spiritual teacher, Linda Howe. Thank you, Linda for stopping by! Linda ~ When I was 6, and then when I was 24, I had intense spiritual experiences, when I understood—with every particle of my being—the Oneness of all. I began exploring my Path by investigating religions and experimenting with all things “spiritual,” including classic core shamanism, divinatory arts, and various methods of prayer and meditation. Then, 22 years ago, I encountered the Akashic Records—and felt like I had “come home.” Two years, and at least 1500 readings later, I was guided to begin teaching with the blessing of my human teacher. In September 2001, with guidance from the Records, I created the Pathway Prayer Process©, a simple method anyone can use to access the heart of the Akashic Records and have a more conscious relationship with your soul. Now, the Records are no longer reserved for the elite few, but, for the first time in history, are available to all! I founded the Linda Howe Center for Akashic Studies in Chicago in 2001 to share my groundbreaking methods for systematically, reliably accessing the Records for personal empowerment, consciousness development, and expanded spiritual awareness. Today I provide training through live and online classes (CEU’s and credits are available), an on-demand program, coaching sessions, personal consultations, and my books and CD’s. In 2015, I earned my Doctorate in Spiritual Studies—Akashic Records, being the first person ever to hold such a degree. In April, I was brought full circle, again impressed by our global Oneness, during a thrilling month-long teaching tour of China. It is my joy to work with all who seek transformation and enlightenment in this lifetime! Sheila ~ You’re the leader in the field of Akashic Studies. Tell us, what are the Akashic Records? Linda ~ The Akashic Record is a vibrational archive of every soul and its human journey through time and space. Each set of Records is made up of two distinct parts: the energetic blueprint of the soul—outlining Divine Potential—and the catalogue of lifetimes experienced by a human being who is awakening to this blueprint and growing into Divine Potential, one lifetime at a time. I like to think of the Records as the “Cosmic Chronicles of You.” Essentially a spiritual resource, one need not be psychic to engage the Akasha or to benefit from the Akashic Atmosphere of infinite kindness, respect, and appreciation. The Records have been recognized as an informational reservoir of insight, guidance, wisdom, and healing from the past, present, and future. More recently, many find working in the Records amplifies their efforts in other systems and disciplines, including therapeutic counseling, bodywork, hands-on energy work, artistic pursuits, and even business. In this sanctuary of infinite wisdom and compassion, the compelling truths living in the heart of our soul rise to the surface for us to recognize and implement in our everyday lives, facilitating an effective transition to leading a consciously soul-led life with its infinite satisfactions. Sheila ~ On your website http://akashicstudies.com/ you discuss the types of classes people can take with you. What are some of the things that your students may learn by attending these sessions? Linda ~ My primary purpose in sharing my work with others is to empower us to meet our natural spiritual longings. The particulars of this vary with each unique individual, but some of the common threads weaving us together are identifiable. Students report an improved awareness of the love latent in every ordinary situation, increased willingness to extend kindness and respect to others—even to those we don’t understand—and greater courage to take consistent actions to manifest the deepest desires of the heart. Sheila ~ You’re the author of Discover Your Soul’s Path Through the Akashic Records: Taking Your Life from Ordinary to ExtraOrdinary, also Healing Through the Akashic Records: Using the Power of Your Sacred Wounds to Discover Your Soul’s Perfection, and How to Read the Akashic Records: Accessing the Archive of the Soul and Its Journey. Can you give us a brief description of what your books are about and where can readers purchase them? Linda ~ All three books/CD’s are available through Amazon. Discover Your Soul’s Path Through the Akashic Records: Taking Your Life from Ordinary to ExtraOrdinary (Hay House, 2015). This book is for searchers who know there is more to life—those who would like to identify their soul’s true path and to contribute more meaningfully in the world. In these pages, I reveal how to effectively make the shift from ordinary to ExtraOrdinary living—suffused with purpose, aliveness, and light—through the Akashic Records. By learning to access the dimension of the Records, readers will gain insight into their earthly experiences and discover how to transform their lives into ones that radiate light and magnetize good. I share my very accessible and student-tested processes designed to facilitate awakening to true identity and soul’s destiny. I invite readers to explore the essential consciousness concepts of the Records, excavate the obstructing beliefs on their paths, and learn how to realign to the soul’s highest purposes. Healing Through the Akashic Records: Using the Power of Your Sacred Wounds to Discover Your Soul’s Perfection (Sounds True, 2011). Second edition to be released in June! Imagine opening a book that told the story of your life—and suddenly you realized that the painful parts held the key to knowing yourself as completely whole, well, and good. As many of my students have found, this is the transformative process that we can experience in the Akashic Records, an energetic archive of the soul and its journey. With the Healing Through the Akashic Records book and companion CD set, I share how we can use our wounds—the limiting behaviors or ideas that we hold about ourselves—as a path to inner peace. The time has come for us to be empowered, to be our own spiritual authorities, and to access the illuminating, rich source of the Records directly. And that is why I wrote this first book! Sheila ~ You’ve just returned from teaching in China. What was that like? Linda ~ Over the past 40+ years on the Path, I’ve repeatedly experienced the multi-dimensional, multi-directional reality of being one with the whole of creation. Throughout this Akashic Adventure, I was haunted by this stunning pearl of truth. We really are One. From the moment of my arrival, I felt “at home.” All the years of negative political propaganda in my back pocket dissolved in the loving presence of the infinitely gracious Chinese people. It was deeply moving and emotional for me as I met one awakening soul after another, sharing a stunning awareness of our immutable, indivisible, intimate, and infinite connection. Sheila ~ You offer personal consultations/readings. What kind of services do you provide and how can someone schedule an appointment? The primary experience of being in the Akashic Record is one of being both known and loved. Being in the richness of the Record can help us in every area of life, from creative endeavors to relationships of every variety. Being in this non-judgmental dimension fosters greater loving, compassion, and harmony with life. For some of us, there is a dramatic shift in the senses and sensations, but for most of us, it is much more subtle. A combination of clarity, emotional stillness, and illumination characterize this dimension. Most people prepare a list of questions for a Reading, covering the main areas of their lives: health, work, relationships, and so on. Our purpose together in an Akashic Records Consultation (also called a Reading) is to explore who you are and the issues you face in this life, from the perspective of your soul, a chance to be seen and known in the Light of truth and love. Glimpsing our present-day life from the altitude of the Akasha, activates the infinite love within, accelerating our ability to love ourselves unconditionally. We begin with the Pathway Prayer©, some parts of which are said out loud, and some silently. The Pathway Prayer Process© provides a reliable and deliberate way to move into and access the consciousness of the Record responsibly, in a disciplined, conscious manner. Readings generally last 60 minutes. See yourself and the challenges you face from the perspective of your soul. Identify the difficulties and solutions through the eyes of Light and Love. Explore the connection between your human talents, abilities, and accomplishments and your soul’s purposes so that you can consciously live your destiny. Examine the relationship between your values and your contribution to the world. Enhance the partnership between your heartfelt values and your natural abilities, liberating you to be your most authentic self in the world! Akashic Coaching includes a free copy of “Living the Heart of Light” mp3 class. Sheila ~ What’s next for Dr. Linda Howe? Linda ~ I have two more teaching trips scheduled for China this year, and four for 2017. I love to travel and experience new cultures and am exploring additional international destinations. Here in the U.S., I continue to offer in-person and online classes, as well as an on-demand format. Sheila ~ Any positive words of advice you’d like to share? Linda ~ This is a lifetime like no other! Each one of us is here with unique gifts, talents, and abilities to share. This is the opportunity of lifetimes to step up, give more, love more, and let your soul take the lead! You are the only “you” that will ever exist—and who you are as a person is the ideal human being to bring your soul’s purposes to life!